Three things to talk about today: the official DI.fm calendar entry for GGP2, a new flyer from Syonix, and only 3 weeks left ’til we party! 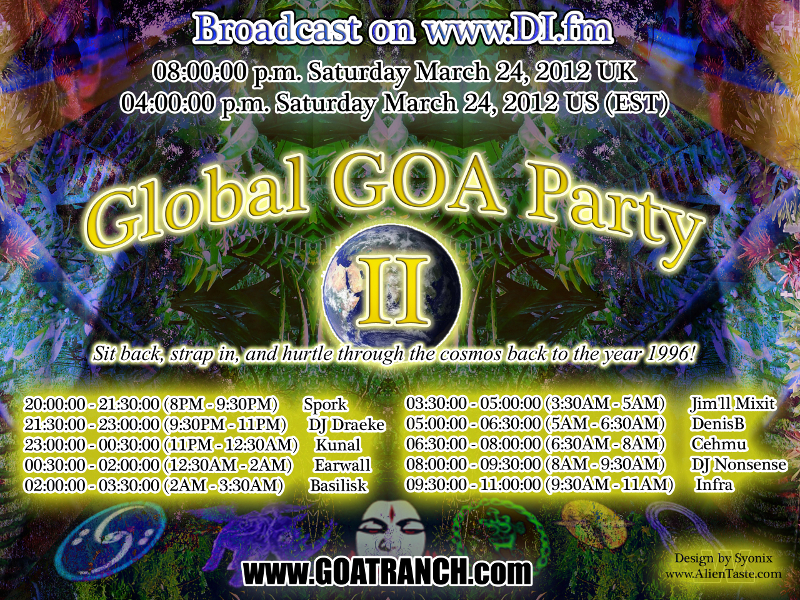 That’s right, folks, only three weeks until the second installment of the Global Goa Party kicks off. I have received sets from two of the DJs so far, and the rest are all hard at work putting theirs together for submission by the 19 March deadline.